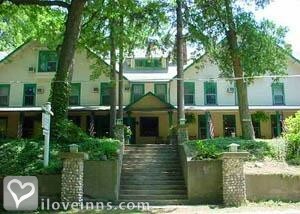 Lakeside bed and breakfast travel guide for romantic, historic and adventure b&b's. Browse through the iLoveInns.com database of Lakeside, Michigan bed and breakfasts and country inns to find detailed listings that include room rates, special deals and area activities. You can click on the 'check rates and availability' button to contact the innkeeper. Lakeside, Michigan was once a booming logging town that supplied its neighbor Chicago with the city's then bottomless need for lumber and it became the popular vacation destination for many Chicago residents back in the 1920s. Lakeside back then was a place populated with famous Lake Michigan resorts. After the logging business came to almost a total halt, farming became the next industry. Today, Lakeside Michigan still has most of its rich cultural heritage that made it the place to visit back at the turn of the century. Lakeside bed and breakfast still boast of that familiar Lakeside hospitality and the quality of food that they serve. You may also want to visit a replica of Shakespeare's house which was transferred from Chicago to Lakeside. By White Rabbit Inn.